This week I tasted two sparkling wines made with what the Italians call metodo classico, the Champagne method. One was a Lambrusco, a wine I am very familiar with but this was the first time I tasted one made in this way. The other was made with Negroamaro, a familiar grape variety, but not as a sparking wine and certainly not by the Metodo Classico. 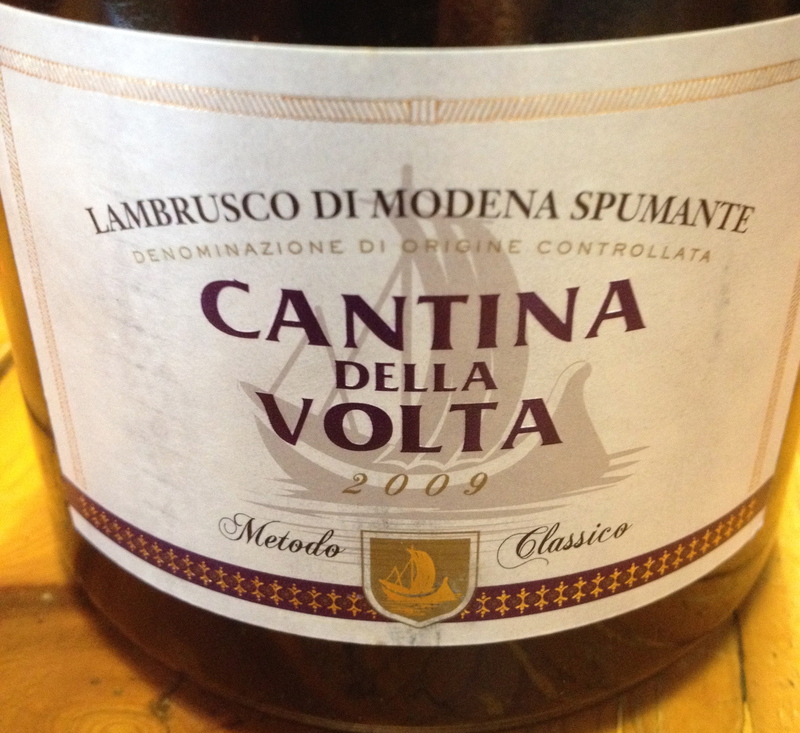 Lambrusco di Modena Spumante Brute Metodo Classico DOC 100% Lambrusco di Sorbara- Cantina Della Volta (Emilia Romagna). This red wine is obtained by a selection of the best Sorbara grapes entirely gathered in small cases (max. 37 lbs.) by manual harvesting. The grapes are carefully handled in order to prevent them from being crushed during transportation to the winery. The clarification of the must is followed by fermentation at controlled temperature in stainless steel tanks. After resting for at least 6 months the wine receives selected yeasts prior of being bottled. The bottles are then stored horizontally in piles for the re-fermentation process in a constant ambient temperature of 53°F. The last steps are the remuage, disgorgement and the addition of liqueur d ’expedition. This is a dark red wine with wild strawberry aromas and flavors and hints of other red fruits and berries. 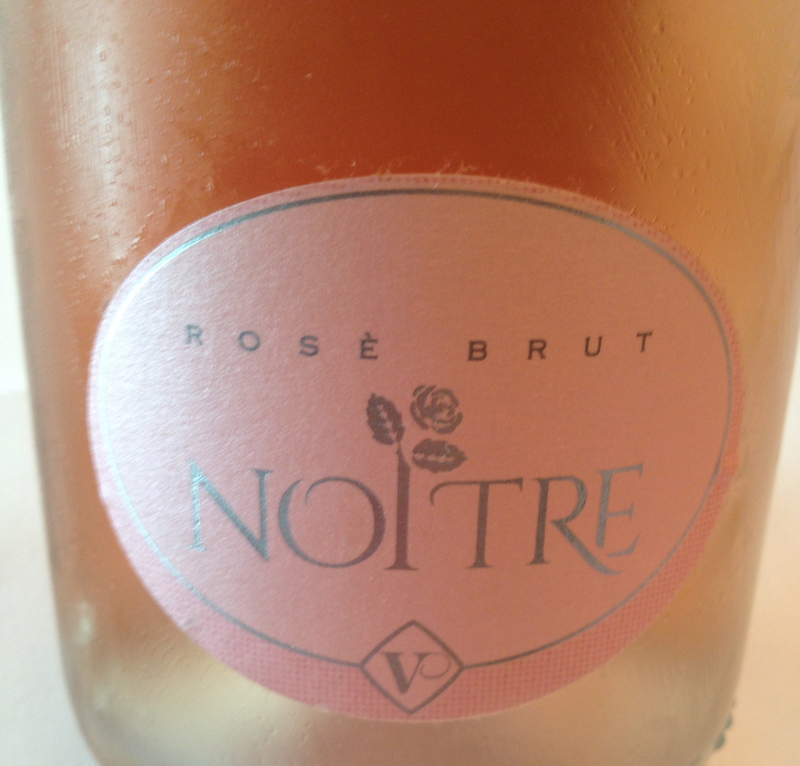 Salento IGT Spumante Brut Rose “Noitre” Metodo Classico 100% Negroamaro from Salice Salentino-Futura 14 (Puglia). The vineyard is at 40 meters and the soil is clayish and sandy. The training system is spurred cordon. There are 5,000 vines/ha and the vines are 12 years old. Harvest is the last week of August. Alcoholic fermentation takes place in stainless steel and there is a partial malolactic fermentation. The wine rests in the bottle for 30 months before release. It is a very light salmon color with red fruit aromas and flavors and hints of raspberries. Part owner of Futura 14, the company that makes the wine, is Bruno Vespa, a well-known Italian TV personality. Hello Charles I would like to know if these sparkling wines are for sale in the New York area and what company is the importer. Thank You,Joe. Thank You Charles for the information.Joe.